﻿Products which are particularly light-weight. ﻿Teflon™ fabric protection - Teflon™ is well known for its non-stick properties. 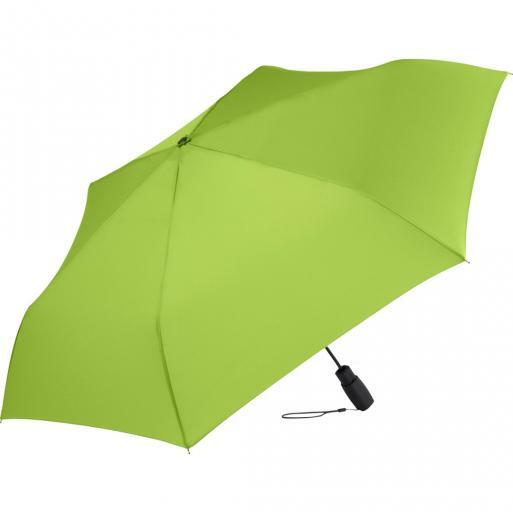 Teflon™-coated umbrellas are treated with Teflon™ fabric protector and are highly water-repellent and stain-resistant. The coating forms an invisible protective layeron the shade, ensuring that water and oil roll off reliably and dirt can be removed easily. ﻿The fabric is tested under defined conditions to the permeability of harmful UV radiation. The protective effect is expressed by the UPF (Ultraviolet Protection Factor). The higher the factor, the better the protection. The test was conducted according to the European Standard DIN EN 13758-1. In this case, the wavelength spectrum of Albuquerque is used. The highest possible rating level 50+ means excellent protection.